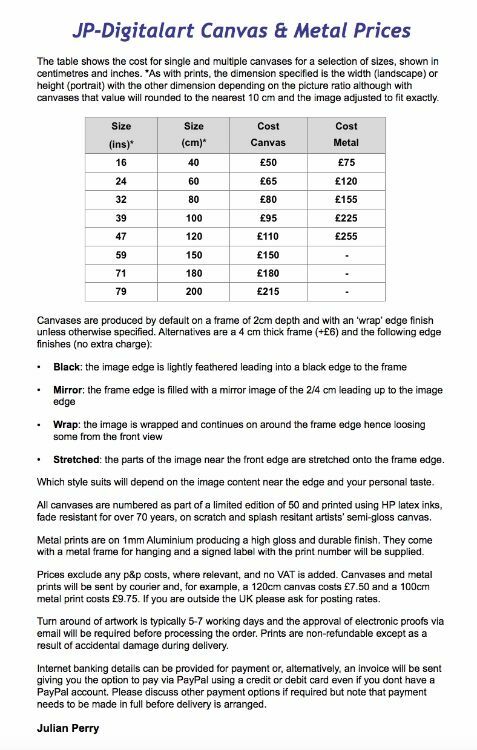 Information on canvas and metal print prices is shown below. If you would like to purchase any images then please email me directly at sales@jp-digitalart.com, or use the 'Contact me' option in the menu, and quote the image title and reference number, found under each detailed image view, the image size required, choice of frame thickness and edge style and any special requirements. I will then email you back with proofs to be approved and the relevant options for delivery and payment. (Please see relevant information below).